Competing in the world of material handling systems and services requires not only the know-how to produce complex hoists, actuators, and cranes, but also the business processes to ensure consistent quality across a range of products. It was the movement of new product lines, coupled with the desire to reach broader overseas markets, which prompted a North Carolina-based Columbus McKinnon facility to seek ISO 9000 certification, the international quality standard. The Wadesboro plant specializes in products for industries as diverse as manufacturing and assembly, nuclear power generation, mining, and stage entertainment. Quality has always been at the forefront of Columbus McKinnon’s production philosophy, but the business wanted to enhance its outward recognition on that front, as well as its internal focus on consistency. 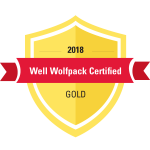 Columbus McKinnon started its ISO 9000 certification in late 2010 with Nora Milley, specialist at NC State University Industry Expansion Solutions (IES). The process began with the essentials. “It was really a team effort of all teams and offices,” adds HR Manager and 18-year Columbus McKinnon veteran, Bob Stowe. from IES was the company’s first choice. for reinvestment into the company. Over the past two years, the Wadesboro operation has recorded a 25 percent increase in business. On Friday, April 13, Columbus McKinnon received a banner from IES in recognition of its ISO achievement in a ceremony on the production floor of its 186,000-square-foot plant. On hand to witness the presentation will be Columbus McKinnon Director of Quality, John Stewart. Ombrello credits the employees for the honor. “It’s really an achievement of people in the plant, so we want to do something for them,” he says. 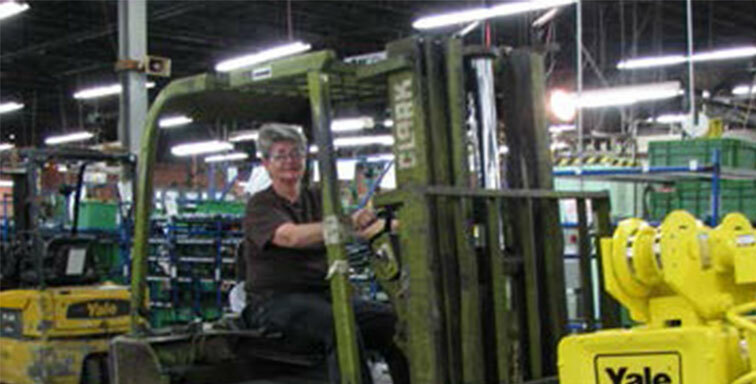 The plant employs nearly 220 employees.